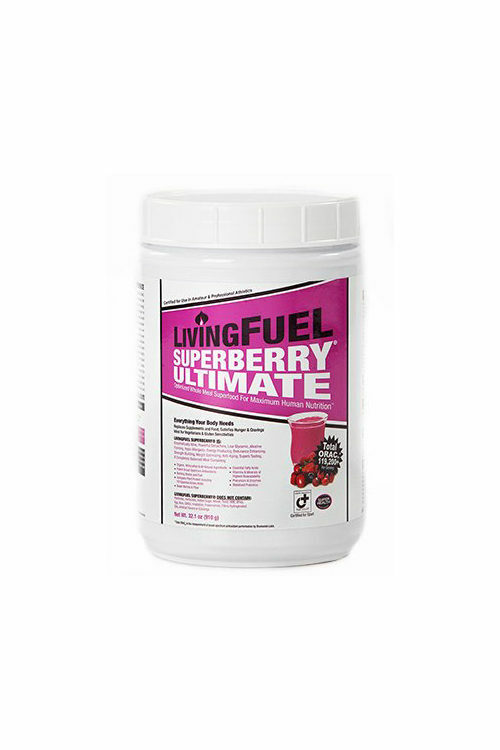 Fuel your body with SuperBerry® Ultimate, and watch as dramatic changes occur. 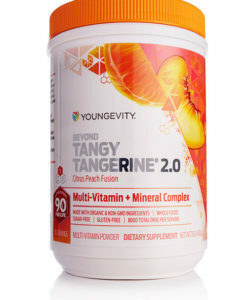 You’ll feel more energetic, more focused, more fit, and healthier than you ever have before! 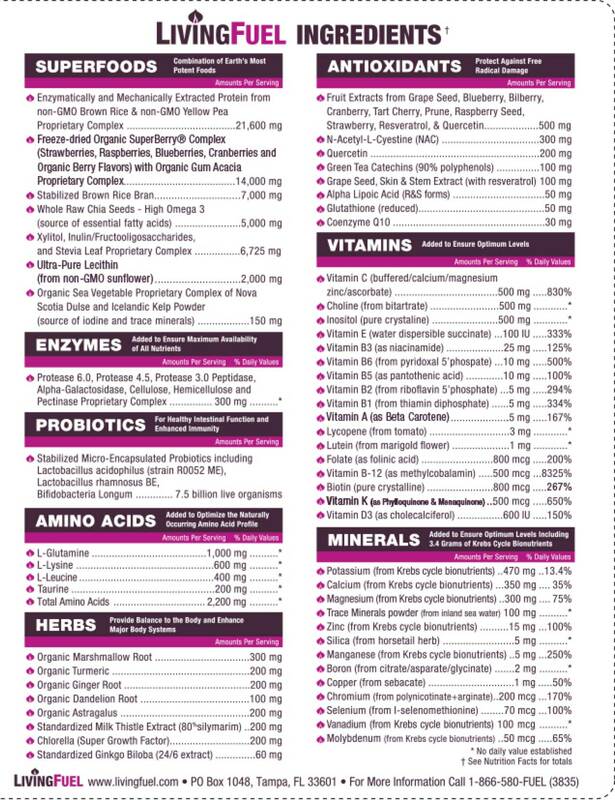 Even the World’s Most Talented Organic Chef Can’t Make a Meal with This Much Antioxidant Power! 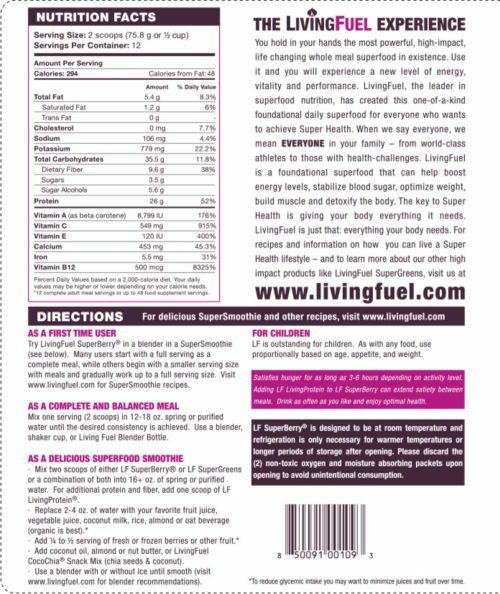 You were designed to feel fantastic, assuming you put the right fuel into the amazing machine that is your body. Fuel your body with SuperBerry® Ultimate, and watch as dramatic changes occur. 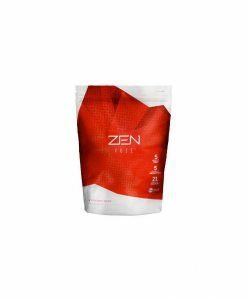 You’ll feel more energetic, more focused, more fit, and healthier than you ever have before. 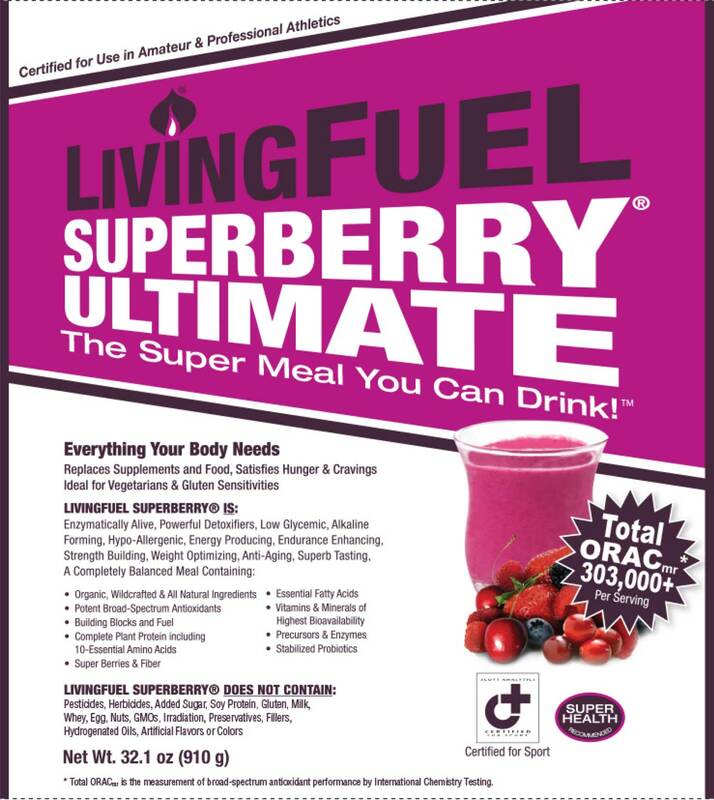 SuperBerry® Ultimate is a whole meal superfood smoothie mix that combines concentrated superfoods and nutrients from the highest quality organic, all-natural sources. 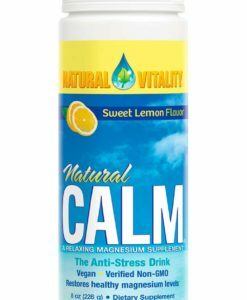 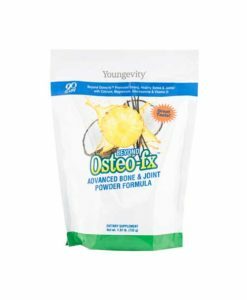 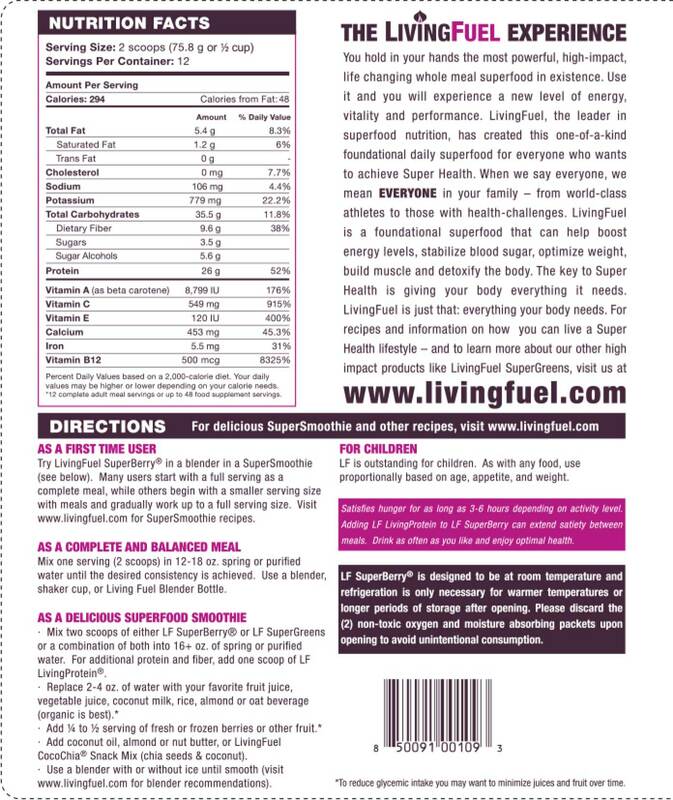 It provides an exceptional nutritional foundation to help you feel and perform your very best. If you’re new to Living Fuel’s line of products, this is where we recommend you start. 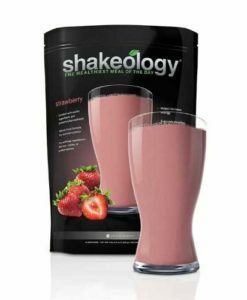 Its enjoyable taste appeals to adults and children alike, and it’s convenient enough to include in your daily routine. 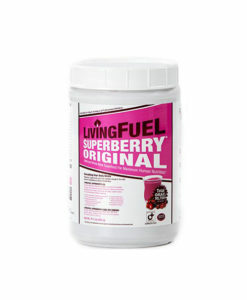 What’s the difference between LivingFuel SuperBerry® Original and SuperBerry® Ultimate? 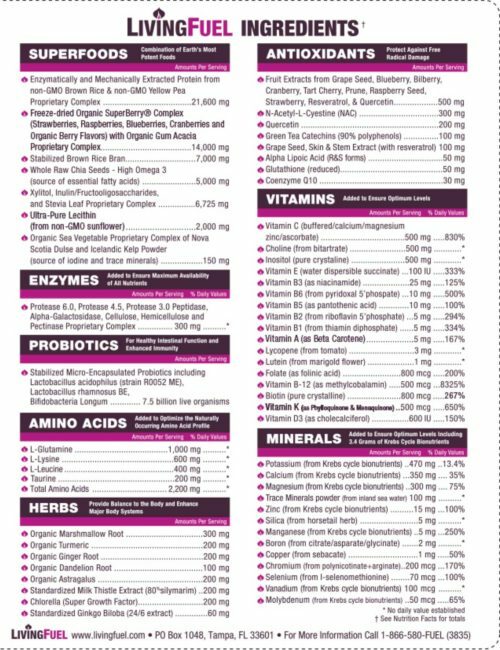 SuperBerry Ultimate’s new container is BPA Free!